KEXP & Seattle Center Concerts at the Mural- FREE! There is such an exciting AND FREE concert series starting tonight and happening every Friday for the rest of the summer at the Seattle Center. KEXP and the Seattle Center have teamed up to create what they are calling Concerts At the Mural. With bands including Blitzen Trapper, Throw Me the Statue (both tonight! ), The Dodos, Fruit Bats, and Moondoggies this series is going to be such a fun way to start the weekend. The shows will go from 5pm-8pm and are open to all ages so grab some blankets and a picnic and head on down tonight for a dose of great music. In addition to the shows on Friday nights, the KEXP BBQ will also be at this same location this year rather than their regular spot by Whole Foods on Denny. The KEXP BBQ usually has an entry fee so they are really going all out this year for thier listeners. The line up includes Dinosaur Jr, Viva Voce, Japandroids, Champagne Champagne, and more. The BBQ is on Saturday August 8th from 2-9pm. I am so excited to get to take advantage of these amazing concerts! 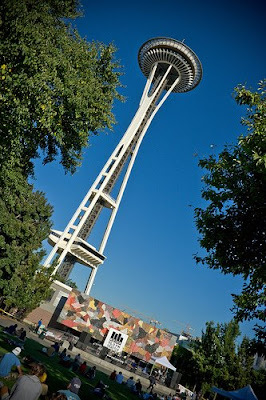 Here is a link to a map of the Seattle Center incase you haven't been to the Mural Amphitheater (#32) before. 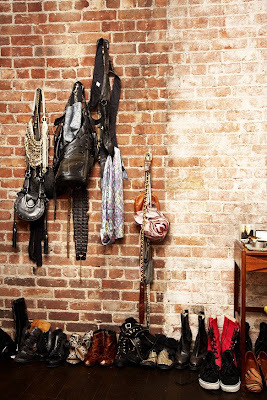 Her great style extends beyond her clothes and into her apartment. I think what I love so much about this fabulous models choice in decor is that it is so attainable. 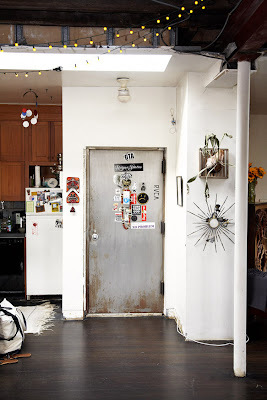 It looks like she has gathered things that she loves from vintage shops and estate sales and over time has made her apartment an eclectic home filled with personality. And I know that old ovens aren't efficient... but I LOVE them. Successfully pulling off both loveliness and radiance while being very pregnant in the middle of summer; I just had to stop her and snap this gorgeous maternity style. Her hair style is so perfect for this dress and the sunny weather. 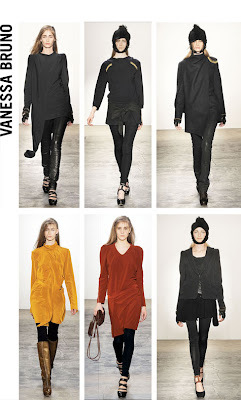 The daughter of a model and a fashion designer Vanessa Bruno was destined to success in the world of fashion. 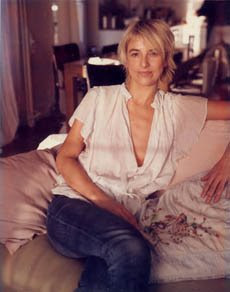 The French designer debuted her first line at only 24 and her clothes have since been the go to for girls looking for classic bohemian french style with an eccentric twist. I recently visited her website and found myself getting lost in the beautiful fall colors and feminine shapes of her recent WF 09 collection of clothing and accessories. 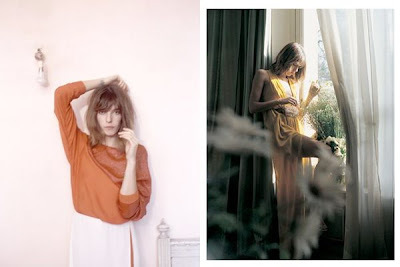 In an image search I also came across a series of gorgeous and dreamy photographs taken by Mark Borthwick of the lovely Lou Doillon modeling Bruno's SS 09 designs. Aside from having an amazing bag and shoes these vintage rings have so much personality. I had to get a close up. The owners of Herban Feast Catering have brought West Seattle a new take on local Northwest cuisine served up in what feels like a trip to the spa accompanied by eclectic internationally inspired dishes. Fresh Bistro in West Seattle has been open for a few months now but when we heard that they had started serving Brunch we decided to make a trip to the other side of the pond and check it out. This bright and beautifully decorated restaurant has an open kitchen where you can watch fresh local ingredients become seriously creative entrees that could be considered works of art. We were quickly greeted by our server with an excited introduction to the restaurant and a basket of freshly baked treats to keep our stomachs occupied while perusing the menu. These were served with huckleberry and golden raspberry jams from Woodring Northwest Specialties. After some very difficult decision making and a little help from our super friendly server we settled on the Sopes; a fried masa cake topped with vegan chipotle flavored Field Roast Sausage (to replace the shredded pork), summer squash, roasted tomatillo salsa, kohlrabi slaw, cotija, black beans, and served with spanish rice and a fried egg. This dish was just as delicious as it was gorgeous with all of it varied flavors, textures and temperatures. The prices were spot on, the service was outstanding, and our food was extrodinary. With lunch, dinner, dessert and happy hour menus still left uncharted we are looking forward to making Fresh Bistro a regular stop when visiting West Seattle. Now that we have enjoyed the inside of the restaurant on our next trip we will take advantage of the lovely patio dining area where diners can eat while surrounded by flowering plants and quiet streets. Finally Friday, and time for a great music filled weekend at Capitol Hill Block Party. Built to Spill, Moondoggies, Hey Marseilles, The Gossip, Sonic Youth... and so many more. I walked down Pine on my way home and it looked like everything was set up and ready to go. And the weather and isn't supposed to be as hot as previously anticipated which is great news. If you are near the Seattle area definitely come check out this incredible two day music festival. If you aren't in the area then the block party is a fantastic time to make a trip out next summer. The music never disappoints. Every year when we go to the West Seattle street fair I stop in at Clementine and always leave in disbelief over what insane deals I have gotten on shoes and accessories. These Vince V Camuto heels are my favorite purchase from this years trip ($15 from $118). I also found some fantastic A.J. Morgan shades and a pair of strappy platform sandals from Accessoire Detente, the French walking shoe brand ($49 from $298). I am going to check this store out more often then once a year at the street festival from now on. I can't wait for this book to be on my coffee table early August. Visiting The Satorialist has been a daily routine and incredible inspiration for me since I first discovered his site a few years ago. I am so excited for him to have his talent published and accessible to even more people. The book can be pre-ordered on his website. 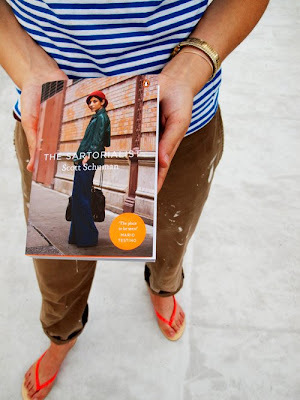 Her perfectly effortless style was so eye catching I noticed her from a couple blocks down. Because I was carrying home a massive bag of fruits and veggies from the market we got to talking about how wonderful it is having such incredible access to great innexpensive local produce this time of year. She went on to tell me how fun and simple canning is... even in a teeny Capitol Hill apartment. What a lovely girl. On Friday we attended the soft opening of Plum, a "New American" vegan restaurant from the owners of Hillside Quickie. Located between La Spiga and Boom Noodle on 12th Ave in Capitol Hill Plum is in a gorgeous building complete with expansive 15 ft ceilings, exposed brick walls, and a beautiful open kitchen. We were able to enjoy the perfect weather thanks to a glass garage door that opens up to the sidewalk of 12th in lieu of a front wall. Along with the friendly faces of our beloved Hillside Quickie we were greeted with music, libations, and cajun flavored popcorn while waiting to snack on samples of the Plum's menus. Mac and Yease; A Hillside Quickie staple. Our favorite comfort food had the perfect amount of spice and wasn't overly nutty like most vegan mac & cheese recipes. A variety of deli style vegan sandwiches and wraps. The Tofu was marinated perfectly and fillings such as cabbage and greens kept them crisp and fresh. The snacks kept coming with collard greens on top of grits. The greens were cooked to perfection with strong flavors of garlic. Delicious! The sweet tooth was satisfied when soft chewy chocolate chip and peanut butter cookies arrived at the table. I can't wait to experience the expansive menus we had the chance to peruse at this opening. From fresh fruit crepes with vegan vanilla custard and soy whipped cream to Quinoa Sliders with a jalapeno aioli sauce and a Northwest Smoked Portobello and Tempe Crepe with dill, lemon and paprika it will take many trips to try all of the items that caught my eye. In addition to food tasty enough to entice even an avid carnivore Plum's bar will be serving up incredibly innovative cocktail creations such as Cucumber Dill Mojito, Allspice Cider Martini, and Hazelnut White Russian made with hazelnut milk. Plum is going to be the perfect addition to Capitol Hill's Pike/Pike area. Sarah- Working at Edie's on Capitol Hill. One of my favorite shoe shops in the city! Her colorful dress caught my eye from across the street. So cute! We spent last Saturday at the West Seattle Street Festival and stopped in at a few spots for snacks throughout the day. When we saw Beecher's Cheddar Bread Pudding on the brunch menu at Spring Hill Restaurant and immediately went in to try it. It was towards the end of Brunch hours so the restaurant was really quiet and we had a seat at the bar and chatted with the bartender about the restaurant and their menu. When we ordered the bread pudding she suggested getting a side of hollandaise to go with it as well as their hash browns. The bread pudding was flaky on the outside and a savory moist cake on the inside. I sometimes wonder if you could add Beecher's cheese to anything... this recipe was such a brilliant creation on Spring Hill's part. The Hash Browns were cooked to a golden crisp and so fresh. They were served with a house ketchup that had a slight flavor of Frank's Hot Sauce. It was a quick stop but the food was wonderful and the service was fantastic. We checked out the dinner menu and didn't see many vegetarian/vegan options but I would definitely come back for another light brunch. I also saw some really interesting ice cream flavors on the dessert menu that I would love to try including Crackerjack, Salted Peanut, and Cinnamon Toast. Nola- At the West Seattle Street Festival. This place would be like heaven for kids. Not only is there a case full of sugary treats to eat but once kids have fueled up on cupcakes they can head to the back of the bakery to a room filled with toys and colorful decorations. This place was so much fun to hang out at. As for those cupcakes... They were fantastic and I loved that they keep them chilled in a case until they are served. I still have to say that Oddfellows has my favorite cupcakes but Sugar Rush was a close competition and I loved that they had so many flavors to choose from. I can't wait to get back to West Seattle to try some more.